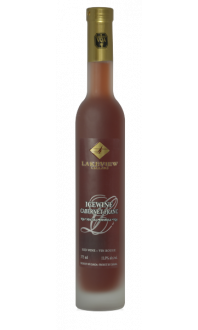 Lakeview Cellars Vidal Icewine - Lakeview Wine Co. The frozen Vidal grapes were harvested in late November when temperatures fell between -10ºC and -13ºC. After settling the juice in stainless steel tanks, cool fermentation was completed in late-February when the wine was placed outdoors to stop fermentation and to complete natural cold stabilization. The wine was stored in solely stainless steel for a period of 8 months before being filtered and then bottled. This is a classic Vidal Icewine with notes of honey, lemon, and citrus followed by a complex palate with a balanced, acidic backbone. This fresh and lively Vidal should be served chilled to approximately 12°C.